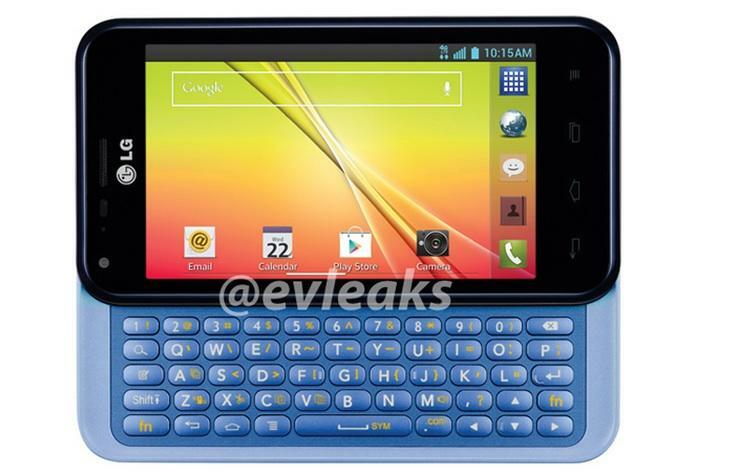 We've already seen a leaked photo of LG's rumored Optimus F3Q QWERTY smartphone, but now trusted tipster @evleaks has shared what he claims is the device's final design. Not much has changed except for that slide-out keyboard, which is now blue and appears to be made from soft plastic rather than the metallic version we saw last month. The latest leak also comes with a list of specs, including a dual-core 1.2GHz processor, a 4-inch WVGA display, a 5-megapixel camera, a 2,460mAh battery, LTE capability, and Android 4.1.2 Jelly Bean. The image also appears to reveal a front-facing camera, though there's no word on its picture quality. The device's rumored components are pretty much identical to last year's all-touch F3. We're happy to see a QWERTY Android smartphone is in the works, since there are still plenty of people out there who prefer a physical keyboard to a typo-prone touchscreen. But if these specs are correct they could be a huge turnoff for tech-savvy customers. The choice to run Android 4.1 out of the box is particularly confusing, considering Google's claims that Android 4.4 KitKat is designed to run perfectly fine on low-end handsets. A leaked T-Mobile roadmap suggests the Un-carrier may get its hands on the F3Q starting on Jan. 22, though we won't know anything for sure until we hear an official announcement.